The study fees for the distance learning program "Software Engineering for Embedded Systems" are EUR 1,990 per term, plus the registration fee, as well as a one-time Master�s examination fee for the standard period of study. Further information can be found at https://www.zfuw.uni-kl.de/en/distance-learning-courses/science-engineering/software-engineering-for-embedded-systems/. The program is offered in partnership with the Fraunhofer Institute for Experimental Software Engineering. * The program represents the state-of-the-art in software engineering for embedded systems. * It has been developed by international top experts in the software engineering domain, who are high-ranking researchers and are recognized in the industry because of their extensive practical experiences. Today, traditionally hardware-dominated product domains are increasingly turning into software-dominated ones. Many of the companies and organizations in these transitional domains still employ mostly traditional engineers without a profound education and training in software and software engineering. * the development of such systems over space (distributed development, subcontracting) and time evolution, maintenance. The increasing complexity of software, the rising demand for secure and high quality software in embedded systems, and the constant change and development of new software engineering methods, techniques, and tools make it necessary that engineers in the embedded systems domain (e.g. 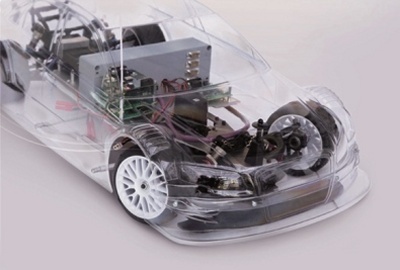 automotive, medical and military) receive additional education in software engineering. The program was being planned by the Distance and Independent Studies Center (DISC) of the University of Kaiserslautern and Fraunhofer IESE. The program is organized and run by the DISC. This section provides more detailed information on both institutions. The Fraunhofer IESE in Kaiserslautern currently has 200 employees who perform research in the areas of software development, software quality management, and software competence management. Together	with its sister institute in the USA, Fraunhofer IESE offers processes, methods, and techniques for developing software-based systems according to engineering-style principles. In doing so, it follows an empirical	approach: Through proven, innovative solutions, products based on software can be brought to the market with a measurably higher degree of efficiency. The customers of Fraunhofer IESE come from domains where products are dominated by software: automotive and transportation systems, telecommunications, telematics and service providers, medical systems, as well as information systems and applications in the public sector. The institute provides support to companies of any size – from international corporations to small and medium-sized enterprises. The public sector also plays an important role as a project partner. Fraunhofer IESE, founded in 1996, is directed by Prof. Peter Liggesmeyer and Prof. Dieter Rombach . It is one of 67 institutes of the Fraunhofer-Gesellschaft, which, as the largest applied research organization in Europe, contributes to national and international competitiveness. Since the founding	of the institute, a close relationship between the Fraunhofer IESE and the University of Kaiserslautern has	existed in both academia and research. As assistant lecturers, employees of the institute contribute to the high level of practice-oriented education in the Department of Computer Science. The area of Software Engineering, represented until recently by the working group of Prof. Dr. Dr. h.c. Dieter Rombach, was further expanded with the new working group “Software Engineering: Dependability” led by Prof. Dr. Peter	Liggesmeyer. In joint projects with third-party funds, the basic research of the Department of Computer Science and the applied research of Fraunhofer IESE complement each other ideally. The Distance and Independent Studies Center is one of the University of Kaiserslautern‘s key scientific institutions. Its tasks comprise the initiation and development of further qualifications for university graduates who have already obtained an initial professional qualification. The range of measures that are offered in collaboration with the University’s departments and subject areas comprise program, program sequences, and study programs of varying lengths. One of the Center’s key focal points is the provision of distance learning programs, which can be taken on a part-time basis while pursuing a career. More than 4,100 students are currently enrolled in the distance learning programs of Adult Education, Human Resource Management, School Management, Social Sciences: Organization and Communication, Systemic Management, Organizational Development, Systemic Consulting, Management of Health and Social Institutions, Management of Cultural and Non-Profit Organizations, Economy and Management, Commercial Law for Business Practice, Tax Law for Business Operations, Sustainable Development Cooperation, Software Engineering	for Embedded Systems, Medical Physics, Medical Physics and Technology, Structural Fire Protection/ Safety Engineering, Child Psychology: Learning and Learning Disabilities, Nanotechnology and Nanobiotechnology. The University of Kaiserslautern was founded on July 13, 1970. At the beginning, it was part of the twin University Trier / Kaiserslautern. In the winter semester 1970/1971, student and scientific activities started with the matriculation of 191 new students in the faculties of Mathematics, Physics, and Technology. In 1972, the set-up of the faculties Chemistry and Biology gave a boost to the extension of a scientifically specialized structure. At the same time, the faculty of Technology was split into the faculties Mechanical Engineering and Electrical Engineering, Architecture / Regional and Environmental Planning / Educational Sciences. The University of Kaiserslautern became independent after the separation from its partner university in Trier in 1975. The following faculties, which were established successively, continuously strengthened the university‘s scientific character: Electrical Engineering (1975), later Electrical and Computer Engineering (1999), Computer Science (1975), Engineering (1975), later Mechanical and Process Engineering (1995), Architecture / Regional and Environmental Planning / Civil Engineering (1978-1979) and Social and Economic Studies (1985), which was separated in 2003 in two independent departments. The official name of the university is “Technische Universit�t Kaiserslautern” according to the new law on Higher Education of the Land Rhineland-Palatinate, which came into force on September 1, 2003. Future-oriented programs, education with practical orientation, and a modern infrastructure: these are the conditions for students at the University of Kaiserslautern. Since its establishment in 1970, the only technology- and natural science-oriented university in Rhineland-Palatinate has gained a considerable reputation and can easily stand comparison with well-established universities of technology. Incontestable proof is provided by the latest German university rankings, which were carried out by the magazines Stern, Spiegel and CHE “Centrum f�r Hochschulentwicklung” (Center for University Development) and the “Humboldt-Stiftung” (Humboldt foundation). The University of Kaiserslautern	achieved top positions in different categories. Prospective engineers and natural scientists will be well prepared for their career if they study at the University of Kaiserslautern. Internships in companies as well as living/studying abroad provide an academic education that is closely related to professional practice. Furthermore, students profit from the numerous well-known research institutes on and near the campus. In terms of applied research projects, the institutes closely cooperate with the university. There are, for example, the “Deutsches Forschungszentrum f�r k�nstliche Intelligenz” (German Research Center for Artificial Intelligence), the “Institut f�r Verbundwerkstoffe” (Institute for Composite Materials), the “Fraunhofer-Institut f�r Experimentelles Software Engineering” (Fraunhofer Institute for Experimental Software Engineering), and the “Fraunhofer-Institut f�r Techno- und Wirtschaftsmathematik” (Fraunhofer Institute for Technical and Industrial Mathematics). Currently, there are approximately 14,500 students enrolled at the university. Due to this manageable size, excellent support is guaranteed and a close relationship between professor and student can be built up. In addition, the university offers very modern equipment and a brilliant infrastructure, including libraries, laboratories, its own computer center, and much more. Accommodation for students is satisfactory, too: near the campus, there are more than 2000 resident hall facilities, where students can use the Internet free of charge.